This is so cool! I can't wait to play. Thanks once again Jerry. BTW, do you have a search on your blog or am I missing it? I was trying to link one of your textures the other day and couldn't find it. Seriously....you are so kind! Thank you! 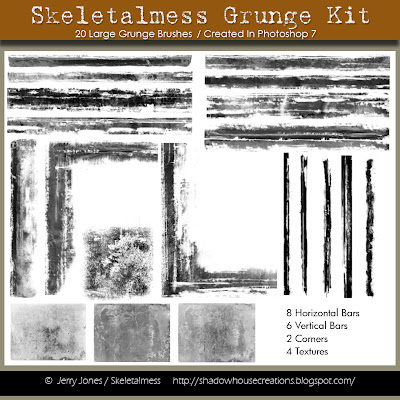 Wow-this is an awesome grunge kit! Thank you so much for sharing. This looks super fun. Thanks! I have been having so much fun lately, grunging up my work. These will be a great addition;thank you! oh wow. this is gonna be fun! thanks so much for sharing! Oooh... I love these. Thank you. This is wonderful! Thank you so much for sharing. Your brushes are always so wonderful...Thanks Again! Jerry, for some reason Vipre blocks the download "this site is malicious". Just for what it's worth--others don't seem to have had the problem. this is just great! thanks so much! You are too awesome in your creativity. I love grunge! Is it Christmas? Cause it sure feels like it to me. Thank you, may you find contentment in the happiness you bring to all of us with your talent (as I don't think you make money when you give it all for free). WOW! Thanks, you are wonderful! Awesome! I can never have enough distressing tools! Thanks. Most Excellent. Thank you, Jerry. Wow what a treasure trove of goodies you have here!!! Thanks very much for sharing them with us. This is such a cool kit. Thank you for sharing. Thanks so much for this awesome kit. Love it! 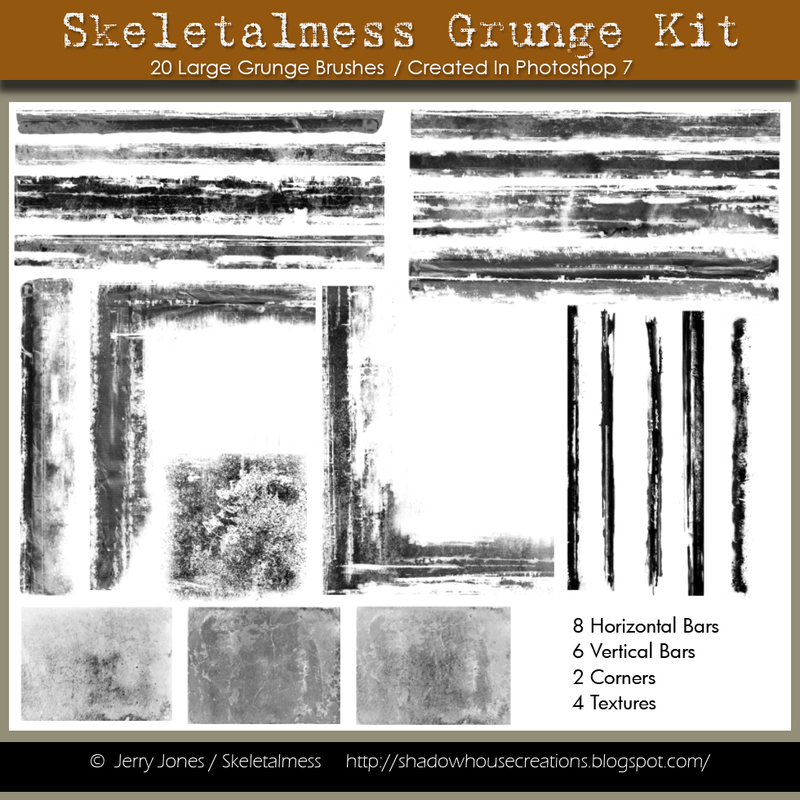 I thought I'd seen all the grunge brushes in the world by now, but these are unique and fun. Thanks, Jerry. I looovvvveeee your brushes, these are just what I have been trying to make, but not succeeding and not to forget to thank you for your textures also.